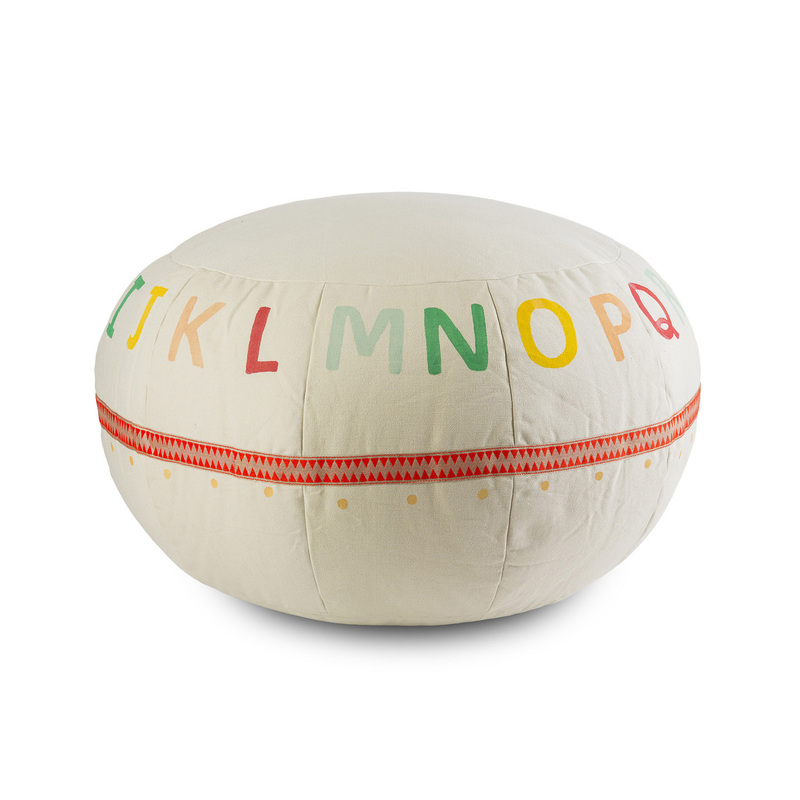 Lil Pyar is a sumptuous range of babies and kids’ décor and more. Pyar translates to “love” in Hindi, so it’s an apt name for the company, which was founded after owner Paula Queen visited India for the first time to celebrate her marriage to her new husband, Sumit. Inspired by the luxurious fabric and intricate beading of her own wedding sari, and by the vivid colors, embellishments and intricate patterns of the saris she saw all around her in India, Queen knew she had to find a way to translate everything she loved about these pieces and bring it back to the American market. With Lil Pyar, Queen wanted a range of products that were high-quality, durable, and of course, beautiful. Made of 100% cotton, you can be sure that Lil Pyar has your child’s – and your – best interests at heart. 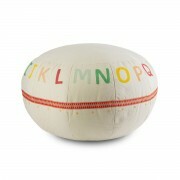 Up the “playroom ante” with the Lil Pyar Kitab pouf, ready to withstand years of your child’s playing and relaxation. Constructed by hand from recycled canvas and accented with the hand-painted alphabet, this pouf is sure to delight your little one while still fitting in with the rest of your home decor.